Series B63 forged body trunnion mounted ball valve is designed according to API 608 and suitable for shutoff of various mediums. Comparing to floating ball valve, when under pressure, the ball is stable in it’s position and the force push the seat toward the ball to form a tightness, all the load come to the stem and bearings. Therefore, the seat is protected and low torque, stable sealing, long life time is assured. 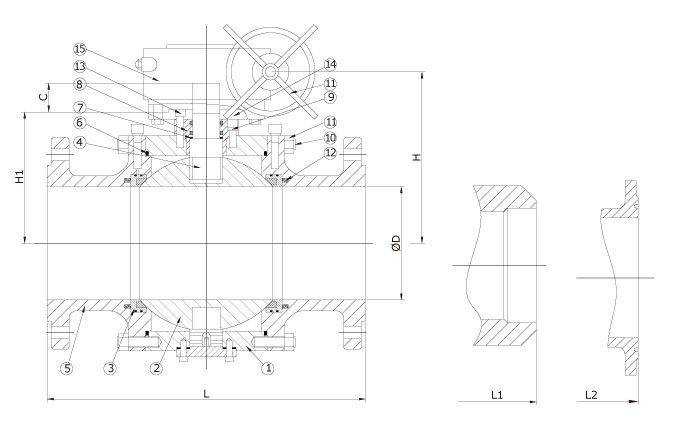 Forged body makes the valve qualified for essential working condition.